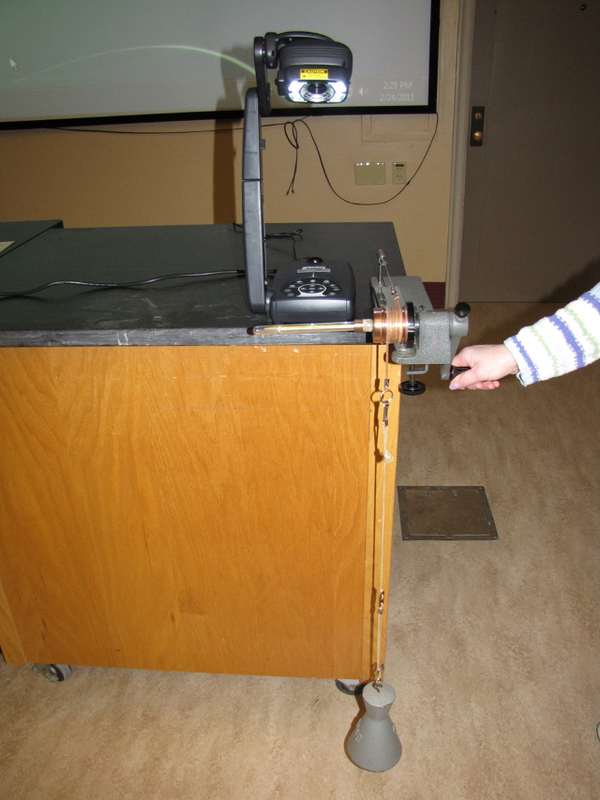 This demonstration shows mechanical energy being converted to heat as a result of frictional effects. Directions for doing the demo: Fill the calorimeter with approximately 60 grams of water, insert the thermometer and seal by fastening the screw plug. Wrap the copper band evenly (with no overlap) around the device. Now hook the 5 kg mass on the string attached to the copper band. Turn the handle and notice the change in water temperature. Note the number of cranks (there is a counter on the device) and with careful measurement of certain quantities of the device you can calculate the mechanical equivalent of heat.